Stop romanticizing the one who broke your heart. There once was this amazing fellow whom I loved as best I could with a broken heart. I call him Harvey, not because that was his name (it is not), but because, like the old Jimmy Stewart film of the same name, Harvey became my own imaginary tall, white rabbit… my imaginary fantasy man. Harvey also had this sort of Jimmy Stewart good-naturedness, the innocence only an authentic and genuine heart could have. He carried a sparkling gleam in his deep, penetrating eyes that offered hope to everyone he met. He had a perpetual smile and laughed often. He was also witty, intelligent, and proactively thoughtful. He was a gentle but formidable old soul. At least, that is how I remember him. What Harvey never knew, because I never told him, was that I absolutely whole-heartedly loved him. I mean, I was starry-eyed enamored by him from the moment we first met, which was a couple of years before we actually started dating. When we did begin to date, the experience was as brief as it was intense. Like a meteor falling through Earth’s atmosphere, our future together burned up before it ever even had a chance. But that doesn’t mean he did not make a lasting impact. Ours was a very brief but very intense love affair back in the early 90s. Remember mixed tapes? Harvey, whether he realized it or not at the time, connected me to him forever by virtue of the music he compiled for me. It’s as if each musical note of the songs he “gave” me became an etheric cord between us. I have long since misplaced the tape, but I remember a few of the songs, “Into the Mystic” by Van Morrison, “A Thousand Miles from Nowhere” by Dwight Yoakam, “A Murder of One” by Counting Crows, and a Stevie Nicks song. To this day, anytime anyone of these songs or artists’ songs hit my ears, my memory goes back to 1994, as does my heart. Our ultimate demise was equally intense and devastating. Long (complicated) story-short, a mutual heartbreak ensued and Harvey broke up with me. I remember our last telephone conversation like it was yesterday. I was standing in the second story bedroom of my childhood, having retreated back to my parents’ home, seeking safety and security. I was on the red princess phone twisting the cord between my fingers, staring out window overlooking the front lawn, the whirring sound of the cars speeding by on the nearby interstate. The sky was gray, as was my immediate future outlook on life as Harvey proceeded to solidify our breakup, while also advising me to “never settle”. For the longest time, I held on to a small sliver of hope that one day we would be reconnected, and I would be able to have a second chance at what I just had in my mind and my heart could have been a beautiful happily ever-after. Along the way, Harvey, in the way I described him above became “locked-in” as that same 24-year old nurturing, energetic, compassionate, deep-thinking, music-tape making perfection, in my mind. For years after our breakup, I continued to sabotage my relationships with men, in part because I still carried hope that one day Harvey would come back to me. And also because those last words of his, “Never settle”, wrecked my mind. Harvey, at least my idealized mental construct of Harvey, became the stick by which every potential mate after him was measured; afterall, anything less would be settling. I don’t think that man knows just how much of an influential impact he was to me, and I suppose he never will. Several years after that last telephone conversation with Harvey, and after I’d heard through the grapevine that he was married and had a child, I finally became open to receiving new love. When that happened, my current husband showed up, and I knew that I did not have to worry about "settling" ever again. I realize now, of course, that my ideology, my clinging to the romanticized fantasy of “the one who got away”, stalled my ability to move forward and open myself to receive love from someone else. Someone real and tangible; someone standing in front of me, showing up for me, willing to go out of his way for me. Loving me. I know I am not the only person who is guilty of pasting an ideology of a person on them and then holding onto them like a talisman of good luck. In fact, I have had people do this same thing to me — create the romanticized version in their minds of who I am. Invariably, when they actually reach out to me to actually talk, they present as inappropriately familiar. In their minds, I have been whatever mental construct they created, and imagined my face there. There never was a romantic connection, and it creates an awkward and uncomfortable conversation from the perspective of the person who has been idealized. Our hearts have the capacity to hold and flow with so much love and adoration, sometimes I wonder if the mind just doesn’t know how to compartmentalize, rationalize, and explain in those circumstances? Is it healthy or damaging to create mental constructs of people in the image we desire them to be? I suppose it can go either way. Doing so may offer a process of healing for the broken-hearted, but to the extreme opposite end of the spectrum, I imagine it can lend itself to a very unhealthy and unstable response in a person. In either case, the best resolution to an imaginary obsession is to shift focus to the people who are actually showing up for us today, in this moment, now. 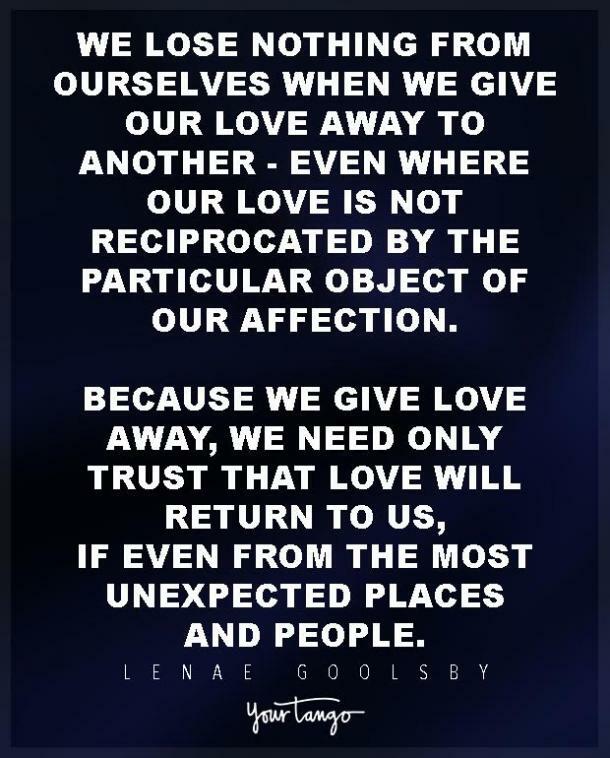 Shifting energy to those people who are actually in the room with us, showing us tangible physical expressions of love, compassion, forgiveness, adoration, and support could prevent us from missing out on our present experience of love. Because ultimately, what could be sadder than missing a chance at the real thing, due to the fact that we are too caught up in a romanticized daydream of the past? In addition to her roles of wife, mother, entrepreneur, LeNae is an artist, writer, and an intuitive, empowerment oracle of the pragmatic persuasion. She has helped men and women across the nation reclaim their personal power and create the life, the loves, the careers and businesses of their dreams. If you would like to reclaim your power visit her website for more information.